The family of David Williams II would like to thank everyone for the words of support and love during this tough time. We are heartbroken by the passing of our beloved husband, father and friend. Yet our hearts have been warmed by the many expressions of love. Services will take place on Friday, February 15 at Temple Church on 3810 Kings Lane in Nashville, TN and are open to the public. Visitation will be from 11:00 am – 1:00 pm, followed by the funeral service at 1:15 pm. In lieu of flowers, the family has requested donations be made to the Perry E. Wallace Jr. Basketball Scholarship at Vanderbilt University. 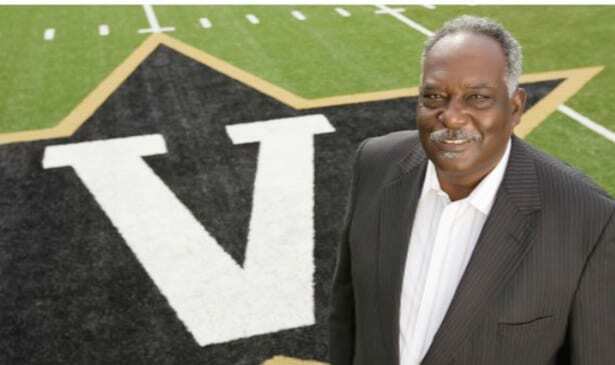 Donations can be made by sending a check to the Perry E. Wallace Jr. Basketball Scholarship, Vanderbilt University Gift and Donor Services, PMB 407727, 2301 Vanderbilt Place, Nashville, TN 37240­-7727; on-line at vu.edu/wallacescholarship; or by calling the National Commodore Club office at (615) 322-4114. Previous articleRoberts Tells Belmont Audience High Court Isn’t Political. Say What?